The natural enhancer of organic soups, stews, casseroles, sauces, savouries, rice and grain dishes. 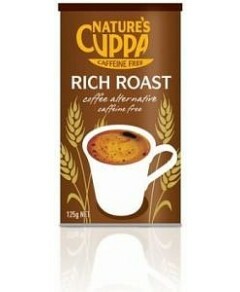 Also a delicious instant hot drink in its own right. A 150g size tub makes 7.5 litres of stock. Its powder form gives it much more ‘spoonability’, making it easier to measure for taste than a cube. Yeast free. Gluten free. Nut free. Ingredients: Sea salt; hydrolised vegetable protein (soya, maize); potato starch; vegetable fat (sunflower), 8% vegetables (celery, onion, carrots, leeks); lactose; spices (turmeric, white pepper, garlic, mace, nutmeg); herbs (parsley, lovage).